This guide is for the Windows game. For the console game, see Battlefield 2: Modern Combat. 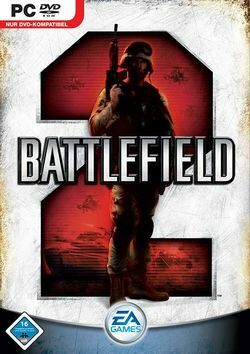 Battlefield 2 is a first-person shooter developed by Digital Illusions CE (DICE) and published by Electronic Ars in June 2005. Trauma Studios contributed to development after being acquired by Digital Illusions CE. It is the third full game in the Battlefield series after Battlefield Vietnam and the first to be set in the present day. Its success led to three expansions and a spin-off, Battlefield 2142, set in a fictional future, but it did not receive a direct sequel until the release of Battlefield 3 in 2011.